The sunshine. The wind. 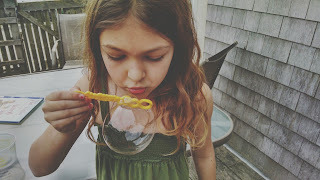 Time spent outside laughing, talking, blowing bubbles and reading. The breeze on my face and the sound of bubbles popping... you have to listen closely, and when you hear the gentle pop it's like you're entering the fairy world... it's pure magic. I'm loving... early mornings, and early evenings. Having the windows open and still keeping the flannel sheets on the bed. His smile when he walks downstairs in the morning, the way he laughs with his eyes when he sees me squinting at the computer screen in the dark early hours. The way we're growing older together. The way we're staying young together. The way we laugh and love together. I'm also slowly working through A Gracious Space Spring Edition by Julie Bogart, Writing Tools by Roy Peter Clark, Wild Bird Guides: Black-capped Chickadee by Susan M. Smith, and This Cake is for the Party, stories by Sarah Selecky. I've never had as many titles going at once. But. They are all different, both in subject matter and genre, and so having the variety to choose for whatever mood I'm in has been a nice change of pace from my normal read it start to finish manner. I have to note, A Gracious Space has been a pleasant surprise. I've found it difficult to find a secular daily... devotional of sorts for homeschooling parents. And half way through, this is fitting the bill. Julie Bogart is kind, thoughtful, funny in her own way, and gentle. With the reader, and with her ideas for homeschooling families. Love it. ...my world - our world - in bloom. ...for kindness. For a gentle wave of kindness to spread across our country. For people to think before they act or react. For calm nights and days where ease spreads in front of us like a picnic basket of space to breathe, kindness, and thoughtful approaches to challenges to feast on. I'm wishing for some movement. Some stillness. Some quiet. Some heart thumping, loud music. For everything and nothing. ... tea. Always tea. The 1000 piece puzzle we're working on as a family, how we each come and take a stab at it, and then retreat only to be called back to it. Sometimes at the same time, sometimes on our own. The changing seasons. Texting with friends. Walking into town for the first time this year, holding hands with my babies who are no longer babies; seeing our streets up close and personal. How their hands still reach for mine, they still sneak into our bed, and they give big hugs and say big things and feel even bigger things and they want to share it all with me and him. Amazing, this life we're living. So fun. I might have to join in on this. So interested in reading A Gracious Space. I have too many books I'm reading right now but I think I'll get it for the fall. Julie Bogart and Sarah Mackenzie have been so inspirational for my homeschooling this year! lovely, what a nice prompt... and books to go 'full library' on... a pleasure this early morning, corinne. I am obsessive with jigsaw puzzles! They are fun but I make them my end all be all to my existence when one is on the table :) I love the idea of a beach summer!! 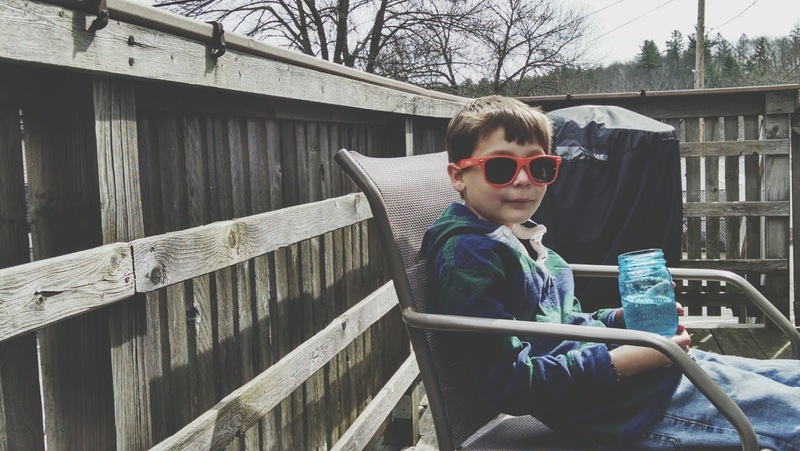 This post is so beautifully written and inspiring! I'm so happy that you joined in on Currently, Corinne. I hope to see lots more posts from you! 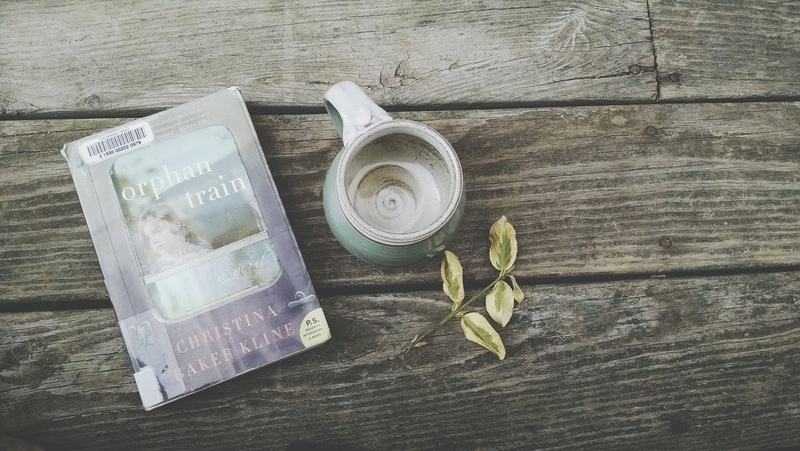 Also -- I haven't read THE ORPHAN TRAIN yet, but I feel like I need to. You love it? Thank you so much for visiting and your kind words! You know, this second reading of Orphan Train it didn't keep my attention like the first time, maybe because I knew what was coming? Didn't love it either time, but liked it quite a bit!